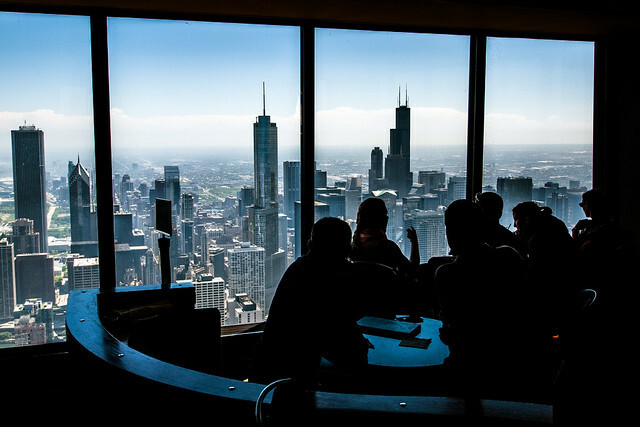 Flickr member Graham Gibson caught the view of downtown Chicago from a restaurant at the top of the John Hancock building in Chicago. It’s a great silhouette piece. I agree, it really caught my eye. I love Chicago although don’t get to go there much anymore (I used to go monthly on business).